Everyone loves a baddie, especially a tall striking one like Budapest-born Erno Goldfinger. But this man who made his name as the inspiration behind one of Ian Fleming’s Bond villains for upsetting a few of his Hampstead neighbours with his thoroughly modern Willow Road townhouses is having quite a renaissance these days. In celebration of this fact we at Midcentury Modern are launching Midcentury East on Sunday 13th October, a celebration of all the furniture that was available during Goldfinger’s time at his beautifully designed and recently restored school – Haggerston for Girls. Buy the kind of iconic and collectable pieces he and wife Ursula collected for their wonderful house at 2 Willow Road. Immerse yourself in Erno’s world by visiting the show with 55 dealers selling the incredible design that was available in the middle of the 20th century. Stick it in your diaries before reading all about Erno’s concrete-loving world here on our brand new travel site for architecture lovers in association with Spanish brand Camper – Destination Modernism. I am not the only person who loves the gusto of the Hungarian’s gargantuan concrete high rises that inspired so many good and bad tower blocks in the mid-Twentieth Century. 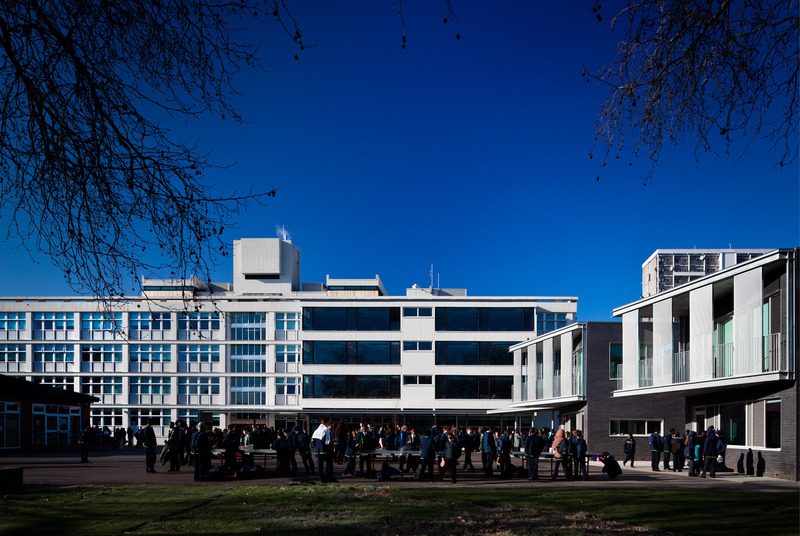 Lovers of modernism now understand the importance of Erno and his place at the forefront of the Brutalist movement right here in the UK. 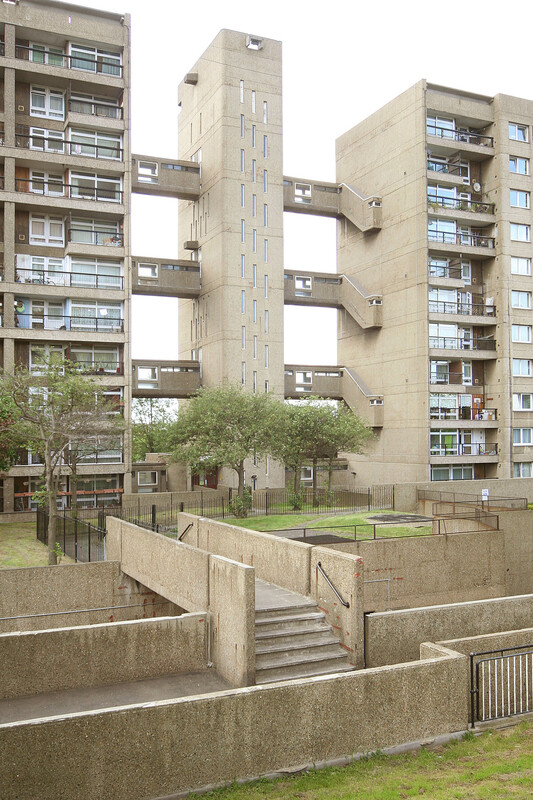 Why else have young architects been flocking to Goldfinger’s infamous Trellick and Balfron towers ever since the “Right To Buy” laws were passed? 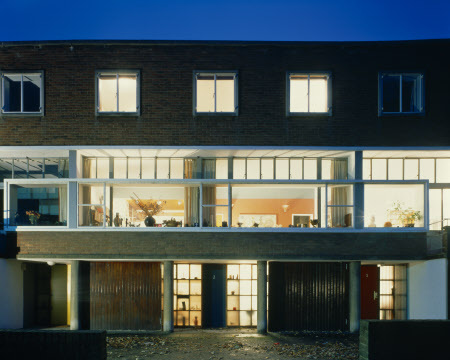 Why else would creative friends gasp when I say I got a special tour of Willow Road from the brilliant new curator of the design museum, Peter Collard? Goldfinger is good, really very good. He may have been brutal in aesthetic and business. Quite the Alan Sugar of his architectural practice, but his work has stood the test of time, and survived demolition threat after demolition threat to become truly iconic. 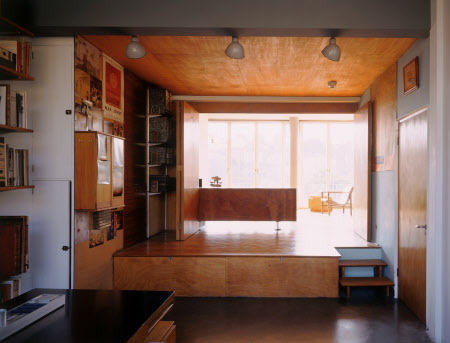 Many of Goldfinger’s ideas saw some incubation time at his most easily loved work 2 Willow Road over looking Hampstead Heath, where he lived with wife Ursula Blackwell, heiress to the Crosse and Blackwell empire and his three children. Built in the late 1930’s, this was his lab, where he tested so much of his design. Preserved in all its original glory with niknaks and family heirlooms included, it is here you best see his attention to raw materials and detail. The mix of controlled Erno with his clever storage inspired by boatbuilders and Ursula, the painter and sculptress, with her creative splurges contained by wooden frames Goldfinger constructed out of the wood on the walls in so many of the rooms paint an amusing picture of their life together. You have heard the stories of champagne parties mixing famous friends with artists, architects and local residents. While Goldfinger introduced Ursula to Le Corbusier and the teachers from the Bauhaus, Ursula introduced her husband to the artists of the time. Before they met he owned two Max Ernst’s. Once married, the Goldfinger’s accumulated over sixty works of art over fifty years through friends and acquaintances. Sculpture, paintings and drawings by Marcel Duchamp, Henry Moore and Bridget Riley are just a few of the pieces that show how immersed in the creative transformation of Europe pre and post war they were. They knew Lee Miller and Charlotte Perriand and many more besides but were quite modest in their taste apart from the suits, Erno loved his Savile Roe suits, which he turned into a practical advantage by using the thicker worsted ones as insulation in the wardrobe he created between master bedroom and the next room. While Erno played fine tuner, Ursula enjoyed picking up treats like a Per Lutken glass vase or a Tapio Wirkkala ceramic paper bag and arranging them in installations around the house. While Erno was playing the architect and archiving everything he and his office drew and created so meticulously that it now takes up about a third of the RIBA archive, Ursula was making a lovely home for their three beautiful children, painting, making sculptures, collecting wooden spoons and dealing with her husband’s notorious rants. Bookended by two other town houses that not only work to insulate the Goldfinger house but paid for Goldfinger’s in the selling, the house is remarkably unpretentious. A simple looking glass and brick structure, it has more to do with the proportions the Georgians used than to Victorian houses nearby. Like abstract art, Goldfinger’s work is less instant hit, more slow burn,in that it grows on you more and more as you hear the story and see how clever the detailing is. Although he came from an affluent background himself, Goldfinger frowned on taking up more space than was needed. Walk up to the first floor using the cork laid stairs daylit by the skylight above with a rope zigzag creating a fenestration and you will see evidence of his clever ways at hiding clutter. Inspired by boatbuilders there are hidden cupboards between rooms, in hallways, under the platform in the study and even behind the curved fireplace. All this was revolutionary at the time and a template for architects to come. He was a master at manipulating space. A fierce editor, nothing redundant survived. The minute you hit the first floor you see pillars exposed in reverence to the building and a mix of wood and industrial in the furniture as well as thermoplastic tiling on the floor. Details gleaned from office, industrial and residential building are echoed throughout the furniture and interiors of this small cosy house; super modern in spite of its beautifully aged smell. 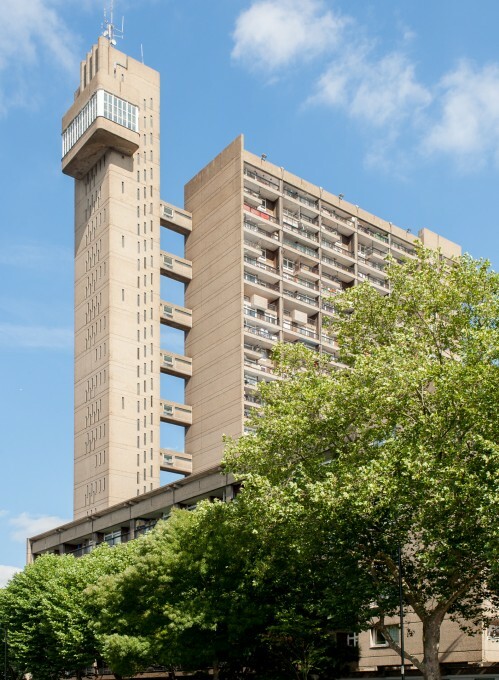 Goldfinger may have used his house as his laboratory but his obsession with high rise took him to other parts of London where East and West his towers Trellick and Balfron rise up like sentry dogs as if protecting London from two sides. He dreamed of streets in the sky, massive concrete vertical or horizontal fortresses like his teacher Auguste Perret and Perret’s one time employee Le Corbusier. Highpoint, his first flat with Ursula where he met so many fellow Modernists, gave him a taste for a view but Highpoint was too small block for his imagination. His mission was social housing, the bigger the better. It took years to put his dreams into fruition. Before the tide turned for his architectural practice, he survived for many years on Ursula’s money, the odd project, like The Daily Worker offices in Farringdon and as a writer. It was not until the middle of the century that the tide turned for him. Benefits were on offer to architects who built higher and higher to alleviate the urban sprawl down below. And this is where these two favourites of mine come in. I love the way Goldfinger’s twin towers of Balfron and Trellick lead you to East and West London the way Crystal Palace and Alexandra Palace radio towers lead you North and South. The detached service towers joined by train carriage inspired walkways to the main body of the buildings may set a mediaeval tone with their sheer concrete and medieaval slit apertures but there is no denying ‘Goldfinger Woz Ere’. Remember the building rising up at the beginning of Oasis’s Morning Glory? It was Balfron. And the apocalyptic film 28 Days Later where two survivors successfully fortified a huge concrete tower block and holed up? Balfron again. 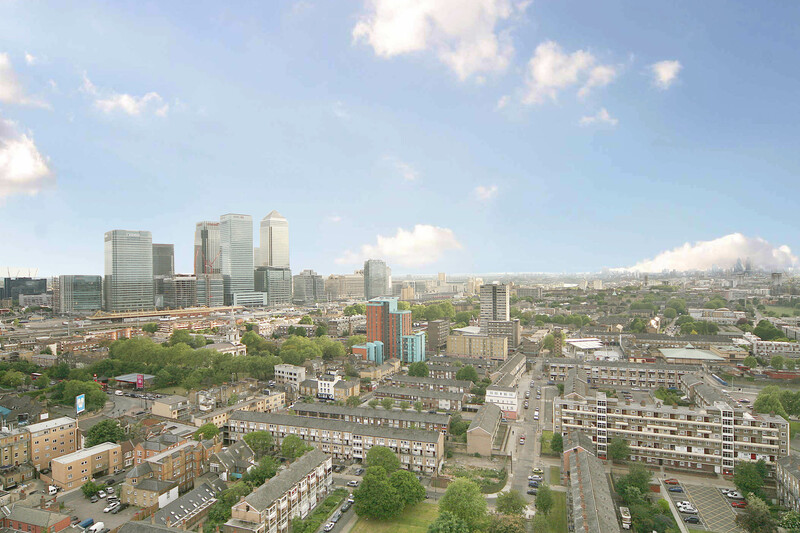 Goldfinger built Balfron so high that it became popular with pirate radio DJs, as radio masts are easily hidden on its rooftop. 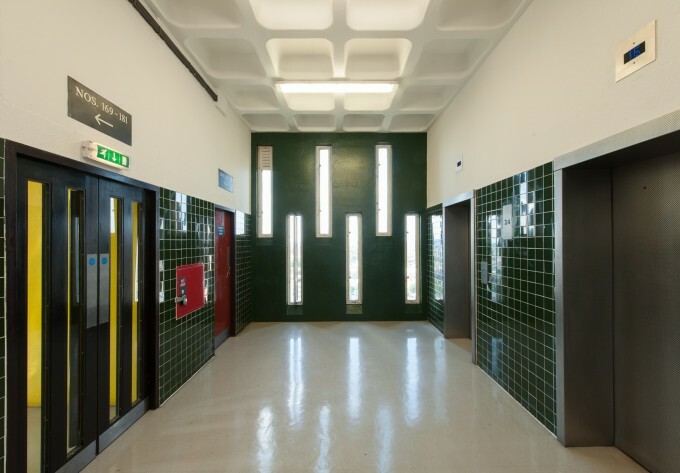 Designed in 1963 and built between 1965 and 1967, it forms part of the Brownfield Estate in East London’s Poplar. Two of the architect’s buildings (Balfron and Carradale House) saw a third (Glenkerry House) designed later by his studio. All three were named after Scottish villages – a homage to Poplar’s loose Scottish connections. The Goldfingers’ decision to live at the top of Balfron Tower for two months was a brilliant publicity move. Not only did they ply their ‘victims’ as they called them with champagne in front of the incredible views but they got essential information that would help improve on what they had started at Balfron for Erno’s next project Trellick. 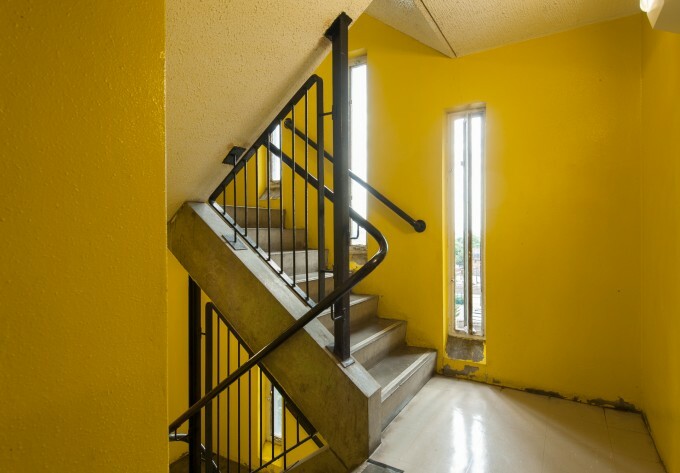 I have been inside the building to an architect-friend’s light-filled flat and he says that while the media may portray Balfron as dark and forbidding many of its occupants believe it has been cleverly built and appreciate it as one of the better tower blocks. The lifts may be small and oversubscribed and details like the three floors that lead to the lift entry points annoying to the one person who wants to get a heavy load to their flat but it discourages barely populated walkways. Everyone gets a private entrance hall, reception room, kitchen and balcony running the length of the flat with plenty of light from the expansive windows. The few maisonette owners who live here get stairs in their flat. No-one has to carry rubbish or leave rubbish outside their door as the rubbish chutes in the service side of the building take care of that. And the views are phenomenal if you are lucky to live more than eight floors up. 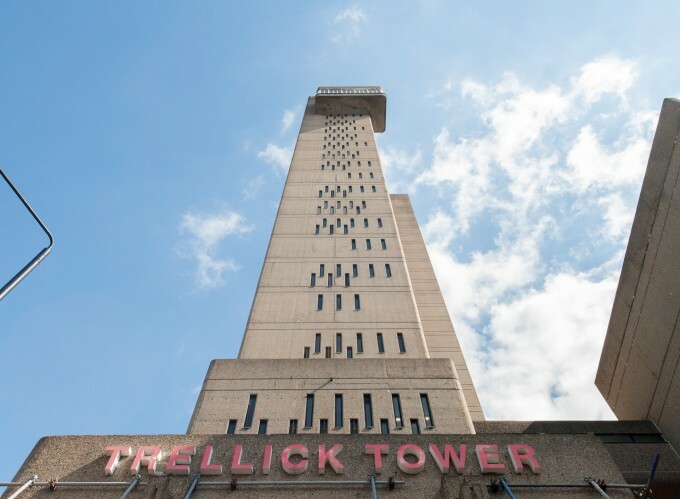 Trellick Tower was one of the first bits of architecture I noticed when I started living in a shared bedroom with my sister in Notting Hill Gate. It loomed large over Goldborne and Portobello Rd and was at the end of what we called The Vintage Walk pre-Ebay. After a day’s vintage clothes and record shopping you knew to turn around when you reached the concrete high rise. Back then (mid-Eighties) it was forbidding and dangerous. Nowadays it has a doorman, CCTV, is filled with architecture-loving tenants and commands reasonably high prices, although compared to everything else £385,000 for a two bedroom flat in that area seems a pretty good deal. Take in a walk down the Grand Union canal too if you fancy a different view of the building. While Balfron has twenty seven floors, Trellick has thirty one. Trellick is warmer with small touches like cedar boarding added to the balcony to soften the concrete. 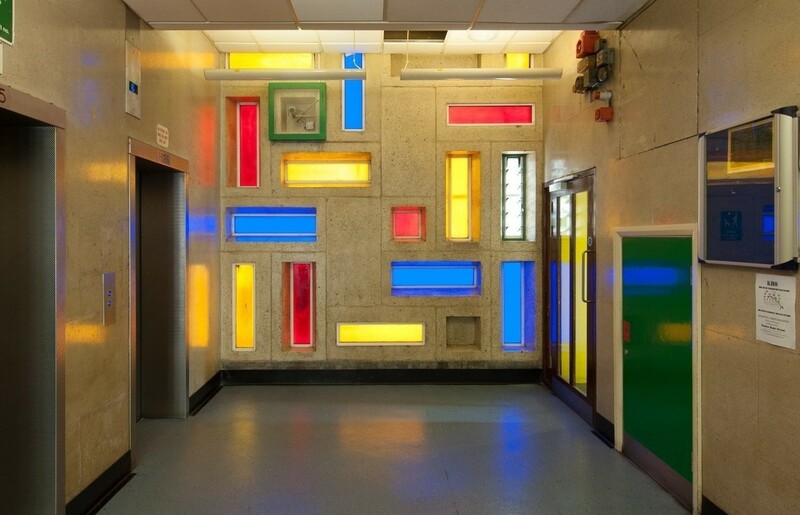 Equipped with its own nursery school, doctors’ surgery, old people’s club, laundrettes, hobby rooms and shops, Trellick, like Golden Lane in Barbican, wanted to show it cared about its residents with maisonettes designed to dovetail each other. 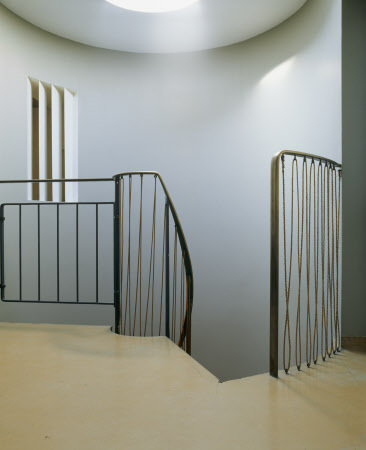 Where one flat has a front door at the top of a staircase leading down to the living area, the next flat has the opposite design, with the entrance at the foot of the staircase. This reduces noise transmitting between the apartments, something Erno must have learned from Balfron. You see it was not the building that caused the problem according to Goldfinger, it was the people. Having his own architectural office at the bottom of Trellick Tower from 1972 until his retirement in 1977 may have deterred troublemakers for a while but when he moved out the trouble started. “I built skyscrapers for people to live in and now they have messed them up – disgusting.” Perhaps if a twenty four hour doorman had been added from the outset, better lighting of outside walkways and people from different backgrounds mixed up, as Trellick has now, his dream would have come true. Goldfinger even planned to add a pub to Trellick, although I think that could just have made matters worse. Like Balfron, Trellick Tower is Grade II* listed in recognition of its architectural importance. People who live there appreciate the space, which is big by tower block standards (the three bedroom apartments have views on three sides).Each room is packed with Goldfinger’s ingenious space saving ideas and sliding doors adapt the space to the occupants own needs. Glass is plentiful which means light streams in. 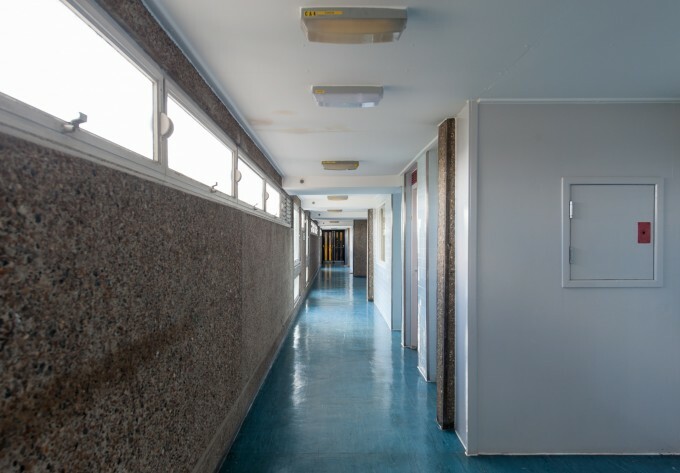 However flats have been hard to sell in recent years as the council is gearing up to do up the place in one go, which will mean it will get a Balfroning, with tenants forced to pay thousands towards refurbishment. Perfect time to see the place, before and after refurbishment. Once done up it should reach even higher prices; even more chances of viewings. One Goldfinger masterpiece you will be able to see this Sunday 13th October 2013 is Goldfinger’s only secondary school. Do not miss it. It contains some of his best public interiors. It is where we at Modern Shows are launching our new show Midcentury East. The influence Auguste Perret, one of the first architects to develop the use of reinforced concrete aesthetically, had on his student Erno can be spotted for all see in Haggerston School. The elevations follow the Golden Section, a use of mathematical proportion used by Perret, Le Corbusier and Goldfinger. 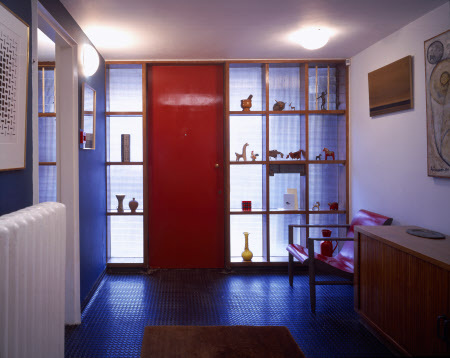 Goldfinger’s work is unique in Britain in combining the influences of Perret with detailing and plan-forms derived from Le Corbusier; he is also unique in having known both men personally. In keeping with the School’s association with Erno Goldfinger, some of the school’s original teak furniture, which dates back to the School’s opening in 1965, was restored by his grandson, Nick Goldfinger, who will be at the show himself. Thank You to The Modern House and The National Trust for use of their images. A hugely entertaining article on literature’s baddie but architecture’s goodie in the shape of Erno Goldfinger. Filled with nuggets and gems of info on the buildings 2 Willow Road and the urban skyscrapers: Balfron Tower and Trellick Tower, designed by Erno Goldfinger. His own home at 2 Willow Road is a really useful practical reminder on maximising space by clever storage solutions and the illusion of space by using sliding doors and nik nak holding space dividers.